Kylie Jenner's mind was blown when she saw the queue to enter her Kylie Cosmetics pop up store. The 19-year-old 'Keeping Up With the Kardashians' star - who built up her beauty empire for two years prior to launching it earlier this year - opened her first temporary shop over the weekend and has admitted she was ''amazed'' by the amount of people who flocked to get their hands on her Lip Kits ''on the first day''. Speaking on her website thekyliejenner.com about the big unveil, which took place at Westfield Topanga Mall in California, she said: ''My Kylie Cosmetics pop-up shop just opened at the Westfield Topanga Mall and I could not believe the crowd on the first day! Prior to the store's opening the beauty mogul shared a picture of the interior on social media, which sees shelves upon shelves fully stocked with every lip liner and lipstick duo in her ever expanding collection. 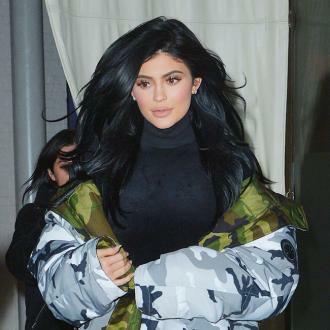 The television personality also launched The Kylie Shop over the weekend, which stocks a variety of bomber jackets, crop top and matching knickers underwear sets, a variety of slogan t-shirts, phone cases and badges, which was available both online and in the pop-up store. 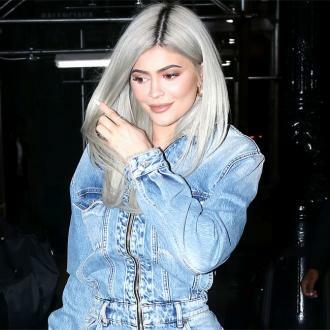 And Kylie has revealed ''almost everything'' from her fashion and accessories range sold out online within just one day.